The Society of Professional Journalists, Northern California chapter, will honor champions of the First Amendment at the 27th annual James Madison Awards Banquet on Thursday, March 15, at the City Club of San Francisco. The James Madison Freedom of Information Awards is named for the creative force behind the First Amendment and honors local journalists, organizations, public officials and private citizens who have fought for public access to government meetings and records and promoted the public’s right to know and freedom of expression. 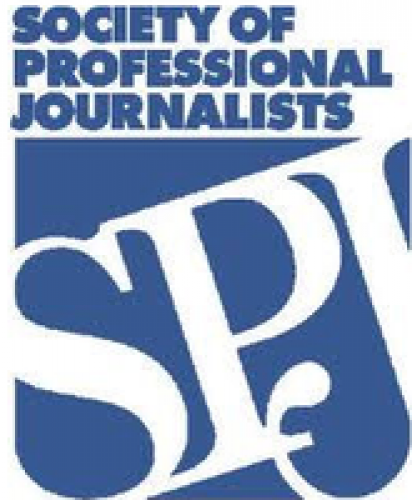 Award winners are selected by SPJ NorCal’s Freedom of Information Committee. Patrick Monette-Shaw began looking into the management of the Patient Gift Fund at San Francisco city-run Laguna Honda Hospital in May 2010, after the hospital fired one of two doctors who had, through the city’s Whistleblower Program, called attention to possible misuse of the fund. His articles at examiner.com and in the Westside Observer, a neighborhood newspaper, helped to raise awareness not only of the possible misappropriations but also of attempts by various city agencies, including the controller’s office and the Ethics Commission, to sweep the matter under the rug. KGO-TV’s investigative team, which had already aired a story on the affair, ran a second one as a result of Monette-Shaw’s reporting. He also prevailed in two complaints that he filed with the Sunshine Ordinance Task Force after Ethics Commission and controller’s staff aides refused to give him access to documents linked to the whistleblower complaint. After the two agencies failed to comply with the disclosure orders, the task force referred the matter to the commission and the district attorney, which at the time of this announcement have yet to take action. Allen Grossman has, over the past several years, worked tirelessly to advance open government at San Francisco City Hall. He has prevailed in numerous complaints filed with the city’s Sunshine Ordinance Task Force and is one of several citizens whose suggestions have assisted the Task Force in drafting a package of amendments to clarify and strengthen the Sunshine Ordinance – the city’s open-meetings and public-records statute – that the Task Force hopes to place on the ballot this November. In early 2010, he sued the city’s Ethics Commission for withholding records on the handling of more than a dozen Sunshine Ordinance violations that the Task Force had referred for enforcement action. The Commission backed down and settled the matter out of court, but its initial resistance meant the city had to pay Mr. Grossman’s attorney and court-filing fees – nearly $25,000 of taxpayer money. Citireport.com is considered required reading for politicians, journalists and anyone else wanting to know how government and politics in San Francisco work. Larry Bush, whose sunshine activism goes back nearly 30 years, started Citireport as a subscription-based news and political journal in the 1990s, then took it online in 2011. Citireport.com not only delivers its own scoops but goes in-depth on stories published by other news outlets and is used as a resource. For example, a San Francisco Bay Guardian story in March 2011 began by citing the CitiReport rundown of Ethics Commission nominees. Citireport provided technical analysis of campaign finance data from San Francisco’s 2011 election. Using his own funds, Bush offered a prize for creation of an “open ethics” app establishing the trail between ethics data and government contracts. Bush was largely responsible for the ballot measure that created the Ethics Commission and is among a group of citizens whose years-long effort to get live televised broadcast of commission meetings finally paid off. He has repeatedly use open government requests to uncover key data and then disseminate it to reporters, and has helped countless others negotiate the public-records maze. The Bay Citizen’s compilation of political campaign contribution data for the San Francisco mayor’s race provided the public with easy access to information on who donated to the crowded field and how much. The Bay Citizen’s outstanding use of computer-assisted reporting to detail who contributed the $4.7 million raised from individual donors gave the public an eye into the source of war chests behind the campaigns. The Bay Citizen has also put police records to use for public safety through its Bike Accident tracker, which pinpoints bicycling accidents on a Bay Area-wide map. It shows riders, pedestrians and drivers the reason for the mishaps, who was blamed and their when they occurred. It even cites the incidents by police report number and marks “hot spots” for clusters of accidents, enabling safer riding in danger zones. Over his decades as a journalism educator, Roger Woo of Tokay High School in Lodi, California, has taught the fundamentals, from lead writing to telling stories through photos. He has forged a strong reputation for quality teaching. His students have been recognized hundreds of times for their work, from stories to layout to photos. In the words of a former student and now newspaper publisher, Woo has taught ethics, pride, and professionalism, all the while continuing to espouse the core journalistic values of honesty, integrity, and objectivity. There have been times when student journalists were challenged by the school administration over something published, but they had Woo at their backs in the exercise of their First Amendment rights. Cindy Cohn is the legal director of the Electronic Frontier Foundation, where she oversees 10 staff attorneys and a legal fellow. The organization is aptly named: for more than 20 years the EFF has been marked as much by its prescience on Internet law and policy as by its superb legal advocacy. Cohn has been at the helm of the EFF at a time of enormous expansion for freedom of information, but also extraordinary overreaching by government. She has capably guided the EFF through litigation involving open government laws, network neutrality, encryption, the First Amendment rights of freedom of speech and of the press, surveillance of Americans by the National Security Agency, and more. Cohn is the recipient of numerous encomia, having been named one of the 100 most influential lawyers in America in 2006, as well as one of the 50 most influential women lawyers in 2007, both by the National Law Journal. In 2001, Cohn and the EFF were honored by the editorial board of the Daily Journal, a legal-affairs newspaper. In 1997, she was named as one of the “Lawyers of the Year” by California Lawyer magazine. Tim Redmond, executive editor of the San Francisco Bay Guardian, unearthed California’s questionable procurement of drugs used for lethal injections of prison inmates after joining forces with the American Civil Liberties Union to obtain the material. His story was part of a series that grew out of the Guardian’s receipt of more than 1,000 pages of Drug Enforcement Administration documents released in response to a Freedom of Information Act request. Redmond reported that a federal investigation was launched as to how states obtained sodium thiopental, one drug in a three-part cocktail used for lethal injections. His story highlighted a “secret mission” undertaken by California Department of Corrections and Rehabilitation officers to Arizona to retrieve a dose of it for an execution. Redmond reported that the documents revealed several states imported the drugs without the proper Drug Enforcement Administration paperwork, which is a federal crime. The Hercules Patch, although less than two years old, produced a wealth of online stories for the East Bay community of Hercules alleging conflicts of interest and corruption in the handling of city finances. In early 2011, the city teetered on insolvency with stories of misspent millions for development that never happened. Editor Laila Kearney focused on what had happened and how. With two freelance writers and heavy use of both the California Public Records Act and federal Freedom of Information Act, the team collected 100,000 pages of documents from across California to build their stories. They published detailed accounts of questionable loans from the city’s general fund to the Redevelopment Agency and Municipal Utility. In one instance, a city council candidate in a recall election was forced to admit he lied about his qualifications in the Voters’ Guide. In all, the team produced 13 investigative stories and more than 100 daily stories going back eight years, and created 20 databases from the documents recovered. The news generated dozens of local resident commentaries on the mishandled money. The San Francisco Chronicle produced dozens of stories detailing the natural-gas pipeline explosion that killed eight people and destroyed 38 homes in San Bruno in September 2010. A team of reporters, led by Jaxon Van Derbeken, along with David R. Baker and Eric Nalder, told readers how Pacific Gas & Electric Co. mishandled the explosion response, delayed pipeline inspections and engaged in shoddy safety practices while maintaining a cozy relationship with state regulators. The Chronicle kept the story alive after many news organizations had moved on. The paper focused public attention on the complex bureaucratic process of getting to the root problem with the pipeline. With reporters digging through thousands of pages of documents, they showed the explosion could have been prevented and that regulators failed to press PG&E to meet its safety obligations.